Price does not include manuals. Course dates must be scheduled on dates in June 2013, July 2013, or August 2013. Limited number of dates available. 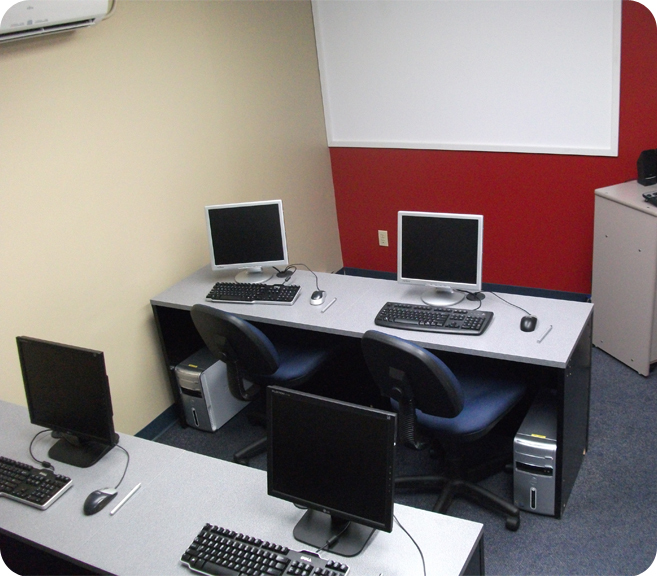 Four person training room is available for $750 (+ 5% GST). 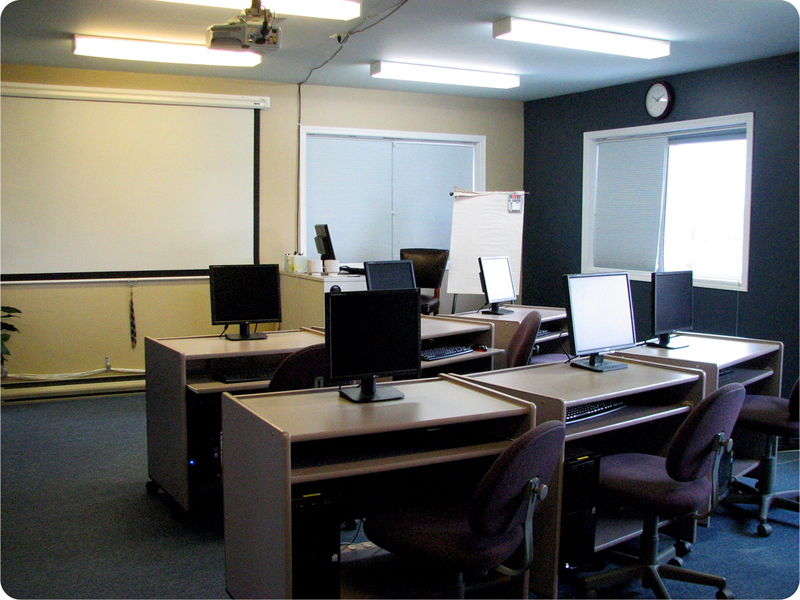 Eight person training room is available for $1,000 (+ 5% GST). Have you ever needed to delete all instances of a word or phrase in Microsoft Excel without replacing that word/phrase with something else? 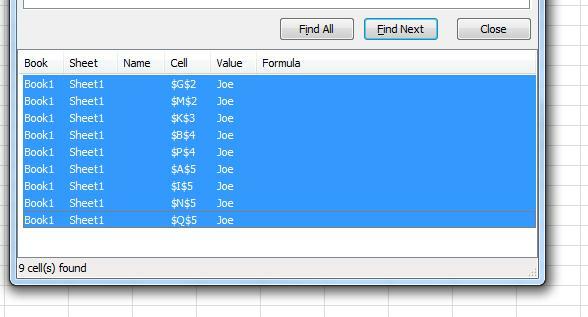 Recently, one of our past students used our Ask-an-Instructor Forum to ask us how to go about doing this in Excel 2010. This client maintains a work schedule for a number of staff in her office. The basic schedule covers the entire span of a year (January to December), with changes being made here and there throughout. One of the staff members moved on into a different role and so our student no longer needed to schedule this particular person. She was looking for a way to easily remove this staff member using Find and Replace. Excel Vocabulary: “Data” entered into Excel can be text data (a “text string” such as a word or a phrase) or number data (a number). Data is stored in a “cell” (the rectangular box that is the intersection point of a column and a row). When filtering data, the term “value” is used to describe the condition that data must meet in order to either remain in the data table or be filtered out. 2. 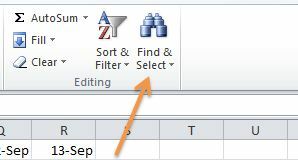 Locate the “Find and Select” button in the Editing group (far right). 4. If the arrows on the Options button are pointing to the left (<<), skip ahead to step 5. If the arrows on the Options button are pointing to the right (>>), click the Options button. 8. Press Delete. Voila! You have now successfully deleted all instances of the data value you wanted to remove. One thing to keep in mind is that although all the steps listed above are for Microsoft Excel 2010, they also apply to Microsoft Excel 2007. Don’t forget! If you have taken any classes with us in the past, take advantage of your unlimited access to our Ask-An-Instructor Forum. We’re all here to help! We will do our best to address your question within 2-3 business days. When we planned our 2011 Open House, the Sector staff decided to incorporate a prize draw for everyone who RSVP’d. The challenge was how to design a process that was accurate and quick. The standard process of drawing names out of a hat required writing each person’s name on individual pieces of paper – time consuming and wasteful! Printing a list of names seemed faster, but wasn’t the most efficient option – as someone would have to use scissors to cut the paper into individual ballots. So we turned to technology and found a solution using Microsoft Excel that saved paper, ink, effort and, most importantly, time. 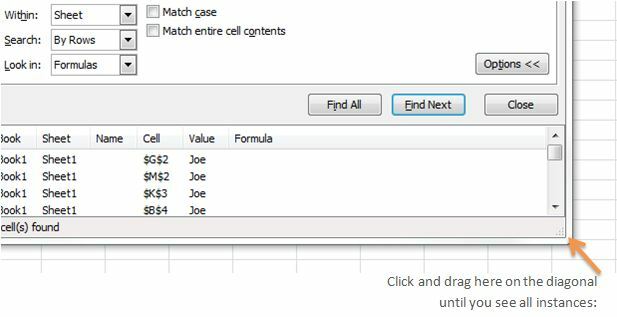 By saving our original invitation list in an Excel spreadsheet, we were able to apply a formula to randomly select a name from the list. Today, we are using the same process to select the winner of a Free Ticket to SMC’s Social Media Marketing Workshop in Victoria on October 4, 2012. The draw will be announced on: Wednesday, September 19th, 2012. 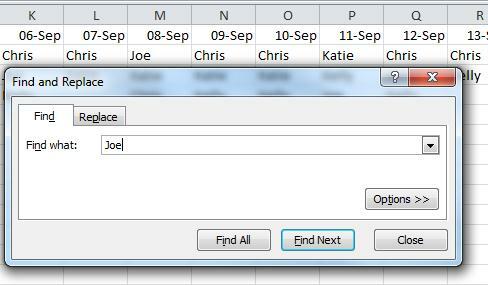 This tip shows you how to Randomly Select an Entry from a List in Microsoft Excel 2007 and 2010. 1. 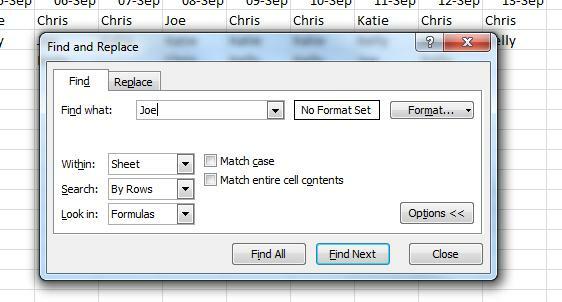 Designate columns for each type of information by naming each column. 2. Enter each person’s information across the row in the appropriate columns. 4. Select the “View” tab then the “Freeze Panes” button (located in the “Window” group). A drop down menu will open – select the “Freeze Top Row” button. 5. 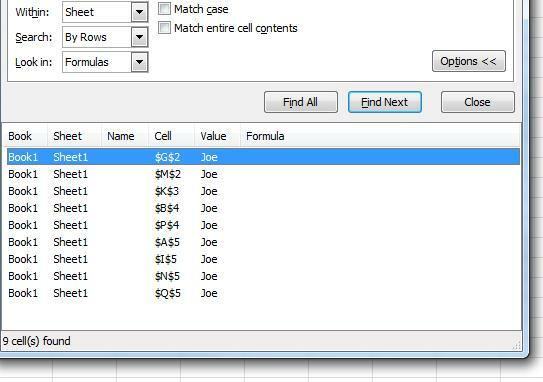 Press the “F9” key to refresh your formula to generate a new set of random numbers in the column. Sort your data set by the “Draw” column, Sorts on by “Values” and Order by “Smallest to Largest.” Press OK to randomly sort the list of names. 7. The name at the top of the list is the winner! Note: To reuse the tool on the same list, repeat steps 6 and 7. This tip was originally brought to you by Gerry Brimacombe and published in our The Dynamic Sector February 2011 newsletter. Chris Stone introduced us to David Salaguinto in his June 26th blog post, Choosing a Top Banner. David Salaguinto, a writer on the Office User Assistance team at Microsoft, gained internet fame through his Office Online Web Comic blog. His witty cartoons are made using Microsoft Visio, a 2D-object drawing application used to create diagrams (most notably org charts). Although David has not posted a new comic in quite some time, his blog is a goldmine of chuckles. Here’s a link to a free 30 day trial download of Visio 2010 – if you want to try your hand at making diagrams or even your own comic. Indezine writer Geetesh’s blog post Office Online Web Comics: Conversation with David Salaguinto (February 8, 2008) offers insight into the genesis of David’s Microsoft Office comics as a learning tool for sharing Office Online information with customers. I personally love the idea of infusing a banal topic such as Microsoft with humour – especially by using one of its own applications to do it! What’s the most interesting learning tool you’ve seen an instructor use in class? 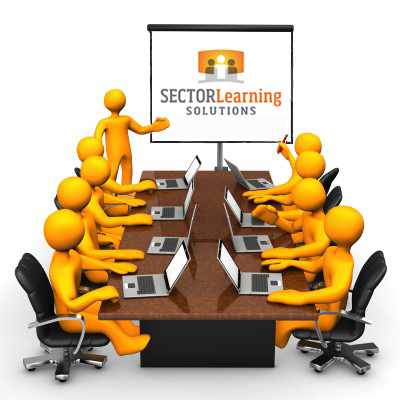 Sector Learning Solutions staff are encouraged to use TechSmith’s Jing software to capture and share videos. For example, the other day our Client Service Coordinator, Katie Caplan emailed our CEO Gerry Brimacombe a contract that was scanned as individual jpeg files. Gerry wanted the individual pages combined into one PDF and decided to record a short How-To video for Katie. This video will be saved in our SharePoint portal Procedure wiki along with written step-by-step instructions (below) to ensure this super quick tip is available to all other staff. Here is a link to the how-to video (1 minute 20 seconds). Note: Be sure to name your files numerically to ensure they are dropped into the Word file in the correct order . 2. Select Save As button. 3. Use the drop down menu beside the “Save as type:” to change the type of file from “Word Document” to “PDF”. Last month my mentor and I chatted about barriers to productivity – including how the staggering number of emails we receive on a daily basis can negatively affect our work performance. We both agreed how distracting and disruptive Outlook’s Desktop Alerts can be – popping up in the corner of our screens like a groundhog from a burrow every time a new email is received. She suggested I consider disabling the desktop alert function for a set period of time every day to remove the temptation to divert from the task at hand. This solution made sense, but was not perfect – what if an ‘urgent’ email with vital information or amendments to the project was left sitting idle in my inbox for hours? We agreed that removing the functionality altogether felt more like a Band-Aid solution that a flawless fit. In an ideal virtual world Desktop Alerts could be set up to only pop up for high priority emails. Convinced that Microsoft could not be shortsighted enough to not include this option, I promised my mentor a solution by the end of the week. Big mistake. There were no step-by-step tutorials or YouTube videos on the subject. The closest topic I could find was how to set up an incoming email rule. I’m not the type to blame Google or admit defeat so I decided to design my own solution through a series of time consuming trial and error tests. Desktop Alerts are the Outlook 2010 notifications that appear on your desktop when you receive new email message. Create a new folder. This will be the location where your incoming emails will be sent. In the Outlook 2010 ribbon, select Home tab. In the Move group, select the “Rules” button. A dropdown menu will appear. Select “Manage Rules & Alerts”. A new menu will open. Make sure the “E-mail Rules” tab is selected. Click on the “New Rule” button. Under the “Start from a blank rule” menu title, select “Apply rule on messages I receive.” Click Next. The “Rules Wizard” menu will open, asking you to “Select condition(s)”. Do not check a condition. This will ensure your new rule is applied to every email you receive. Click Next. A warning message will appear. Click Yes. The Rules Wizard will ask you to “Select action(s)”. Check the box beside “move it to a specific folder” action. In the “Step 2” section that allows you to edit the rule description, click on “specified.” Select the new folder you created in Step 1. Click Next. The Rules Wizard will ask you to “Select exception(s)”. Check the box beside “except if it is marked as importance.” In the “Step 2” section that allows you to edit the rule description, click on “importance.” Select “high” drop the drop down menu. Click OK. Click Next. Name your new rule “New Emails”. Be certain that “Turn on this rule” is selected and NOT “run this rule now on messages already in “Inbox.” Click Finish. From now on, all emails you receive that are not marked urgent will be pushed to the “New Emails” folder. The folder name will appear in bold with a dark blue number beside it when new, unread emails are in it. You can always drag emails back into your inbox folder if you want to sort them there. Unselect the New Emails Rule. Click OK. Select the New Emails Rule. Click OK.
Email signatures are a fantastic communication and productivity tool – and for anyone who has not set one up yet, we highly recommend you consider it. >>It lets you add a block of information with the click of a button – saving time and reducing the chance of typos! >>Separate signatures can be set up to suit the tone of the email – formal, business or personal. >>>Use links whenever you can. >>>Confine any marketing messages to one line. >>>Save inspirational quotes that reflect your personality for your personal email signature. Tempted to use a graphics in place of a text signature? Images increase the email’s file size and will likely be blocked from displaying by the program. Most importantly, this format doesn’t allow people to copy and paste your information.